What is the point of a chord mode that has to stick to one type of chord? I don’t understand bm3s approach to chord mode. it doesn’t record the chords as midi, it records one midi note and then puts that through whatever chord type you have selected and you can only use one. Where is the logic in that? Is there any reasoning for this? Can you suggest a better way for it to work? I always though you were such a polite and zen young man! We got some neat improvements regarding chords / scales coming in the next update. Here is the idea i was kicking around the 5pin.link discord chat, having the ability to load tempo tracks, arrangement tracks, chord tracks. A chord track would highlight all notes contained within that chord in the piano roll while the playhead was in that position, the chord mode on pads would have a chord track function for realtime use too. Yep that was the idea for the arrangement lane exactly lol. 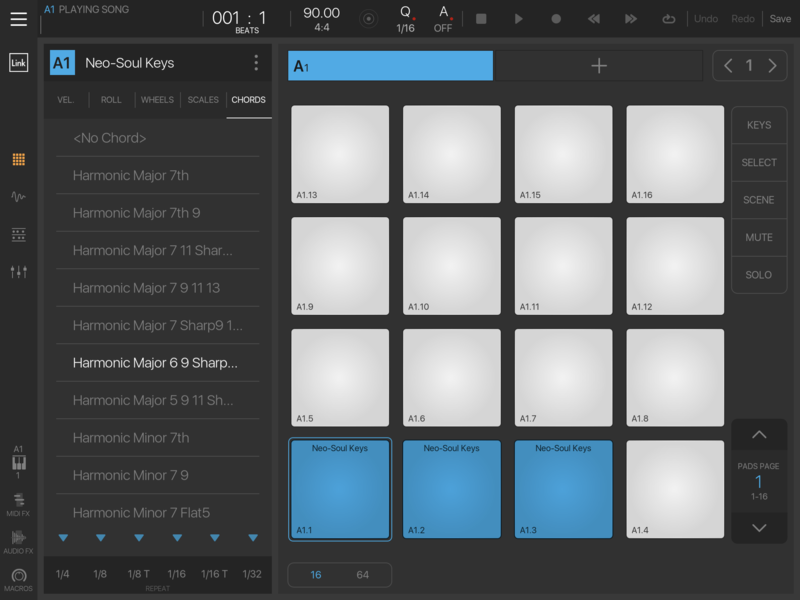 Right now the only workaround is to copy the first pad to other pads and on each pad choosing what key and what kind of chord you’d like it to play. Works with most au/iaa plugins, sometimes you’ll just need to route the midi output correctly. Not a real solution to having an ability to edit the individual midi notes afterwards but it does the trick sometimes. 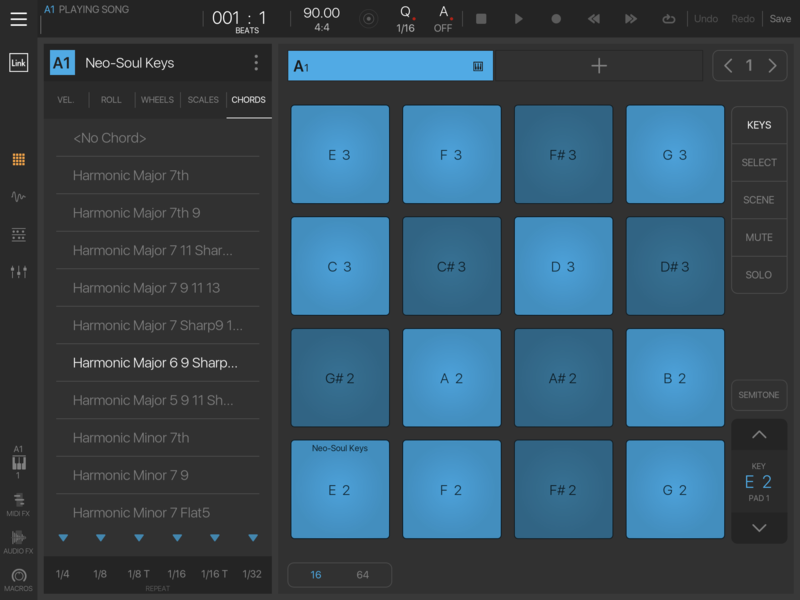 I am using Navichord app when I need some nice chord progressions or just want to try out various chord combinations. It has a beautiful UI and features that BM3 will probably never have. It has MIDI out and Ableton link, that's more or less everything you need to record into BM3 and continue with the exact notes. Imagine a standard chord track save file that could be loaded and saved in Navichord or B3 or NS2 etc etc. Agreed, it should output MIDI from the current chord selector. But that is only of use for programming not realtime play unless a user can define either a pallete of chords to realtime choose from or indeed a chord track as above. So there are considerations beyond "just make it output MIDI"
I'll have you know chords mode is actually usable as an octave doubler effect!